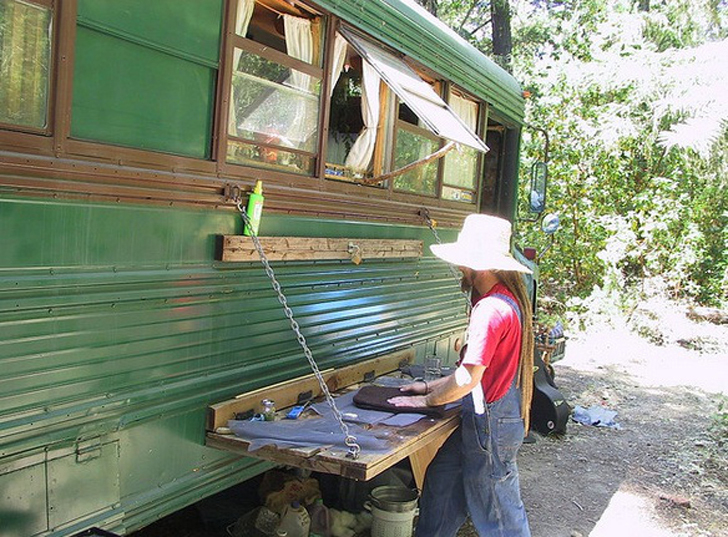 If you've got a hankering for bus conversions, these skoolies will blow your mind. 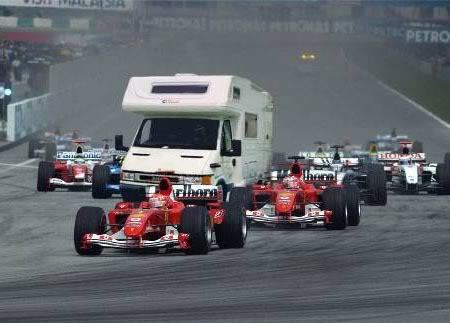 There are so many cool bus conversions floating around on the web and we try to bring you as many of them as we can. 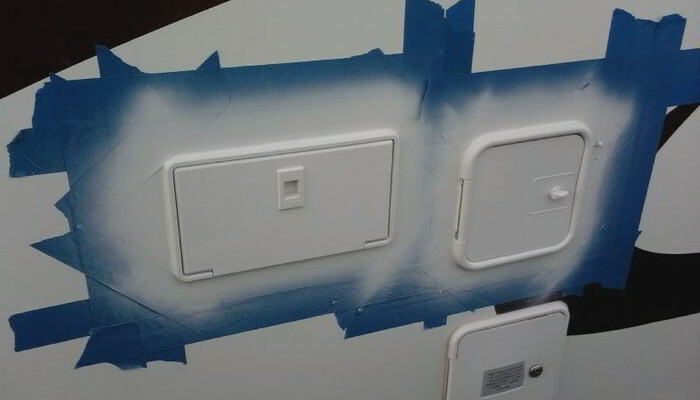 Here are five for your viewing pleasure, along with a wealth of inspiration and engineering ideas that might just inspire your bus conversion project. 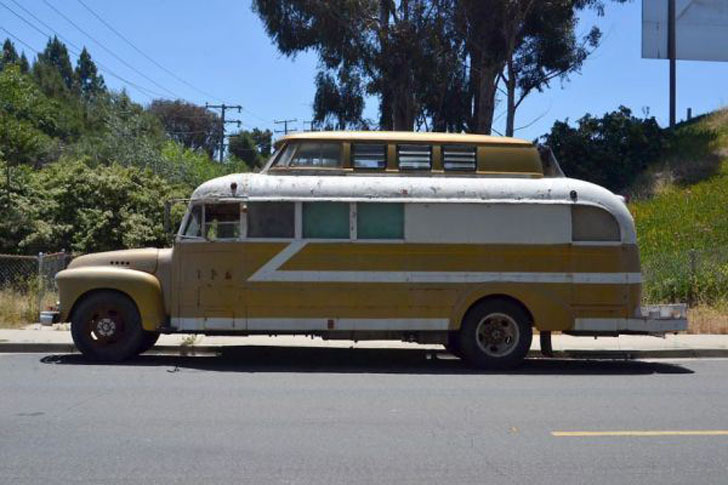 It’s called the Cosmic Collider, and this cool RV is made from a 1948 Chevy bus and the rooftop section of a 1960’s Volkswagen Vanagon. 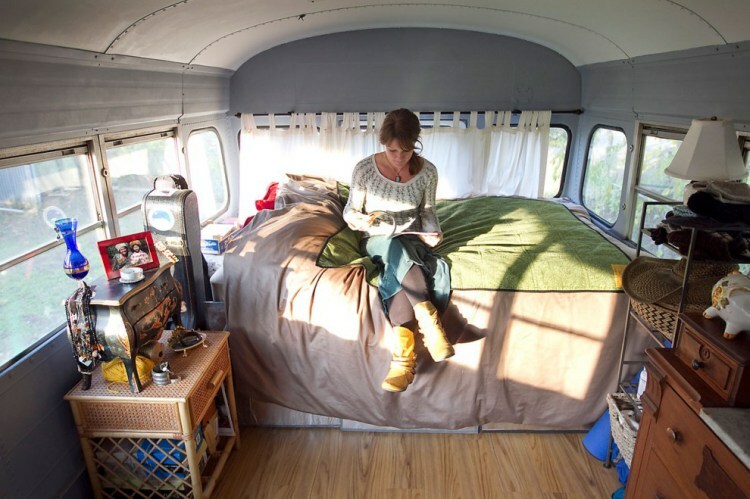 Built by surfboard designer Ryan Lovelace as a home that wouldn’t interfere with his necessarily nomadic lifestyle of following the surf, the Vanagon top provides room for a second story sleeping loft and the bus is built with all kinds of great finds, like old growth redwood lumber taken from the home of George Lucas during a remodel. It doesn’t get much better than that! 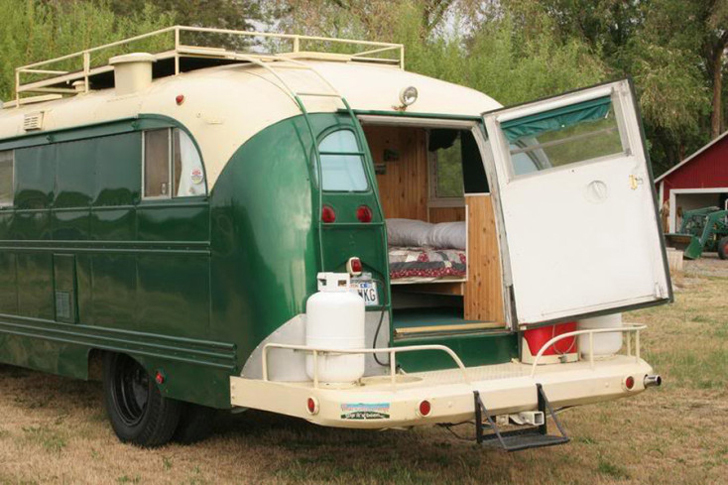 Classic Chevy with VW upper berth. A view from the second floor. 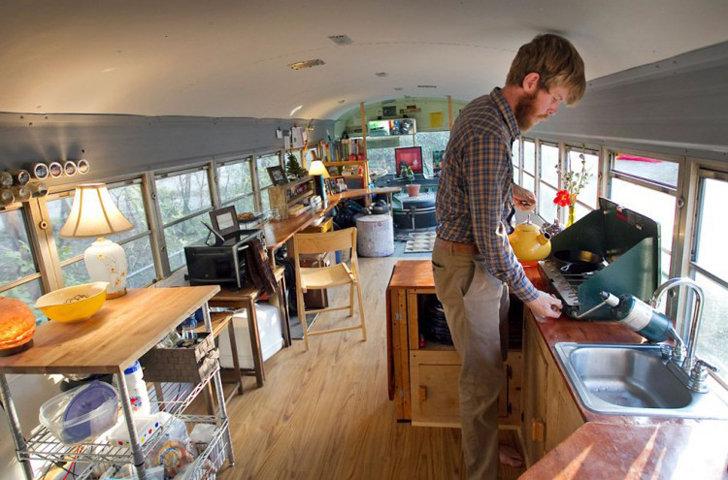 This veggie oil, bio-diesel driven bus is home to a family of four: two parents and two kids. 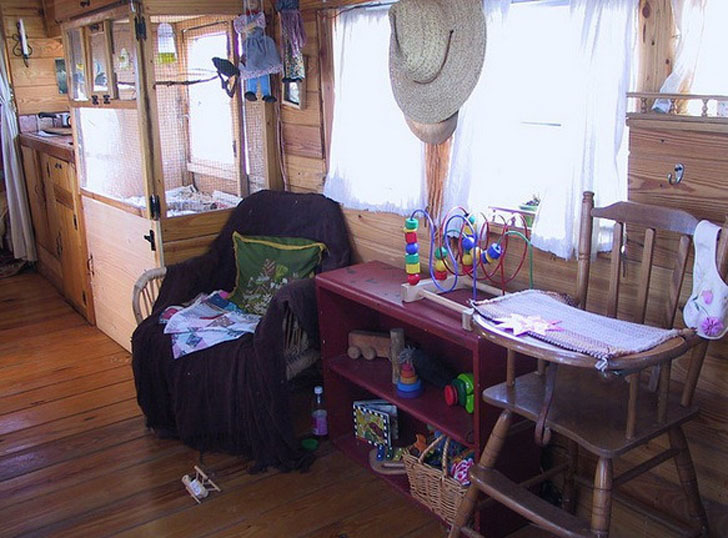 Fully paneled in long grain knotty pine, this may be the homiest skoolie we’ve shared yet. 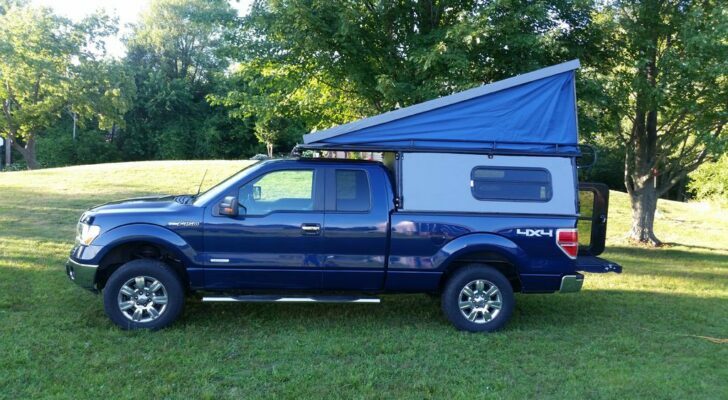 The family did their own renovations and made the transition from diesel to bio-diesel, which allows them to power their vehicle from recycled cooking oil to reduce the impact on their pocket book and the environment. 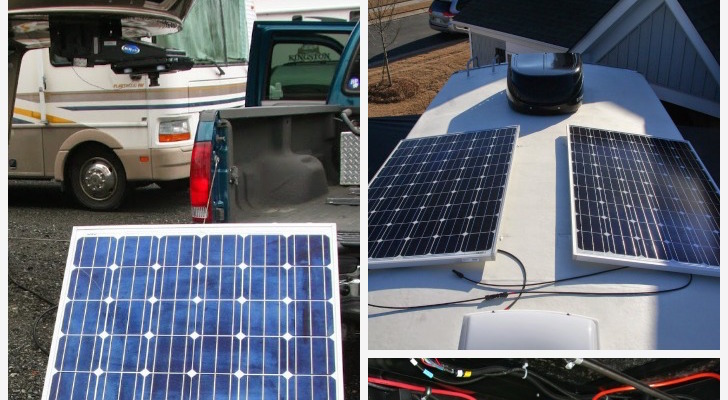 Electric power is provided by a solar system with a back up generator driven by bicycle pedal to charge the bus’s battery bank. 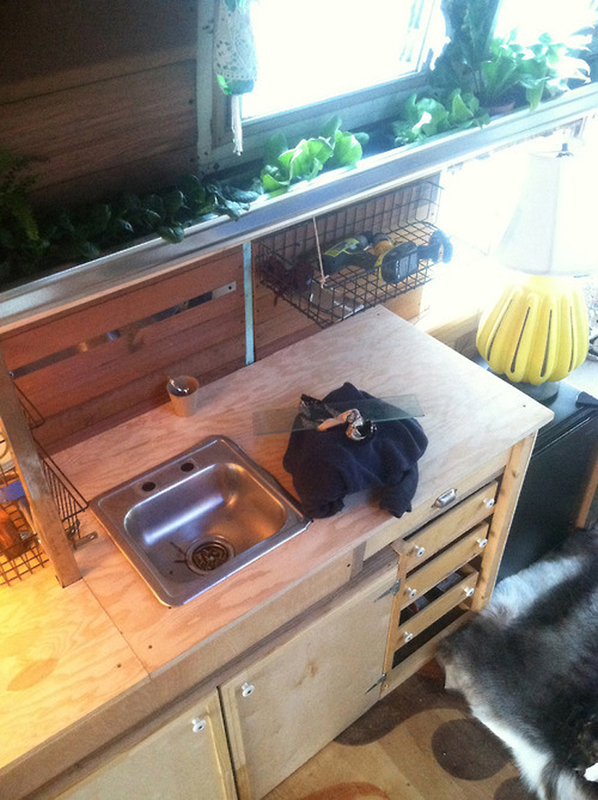 Foldable potting table on the Enchanted Gypsy. Beautiful interior with spacious library shelves around the top. The homey interior seems like a deluxe camping cabin. 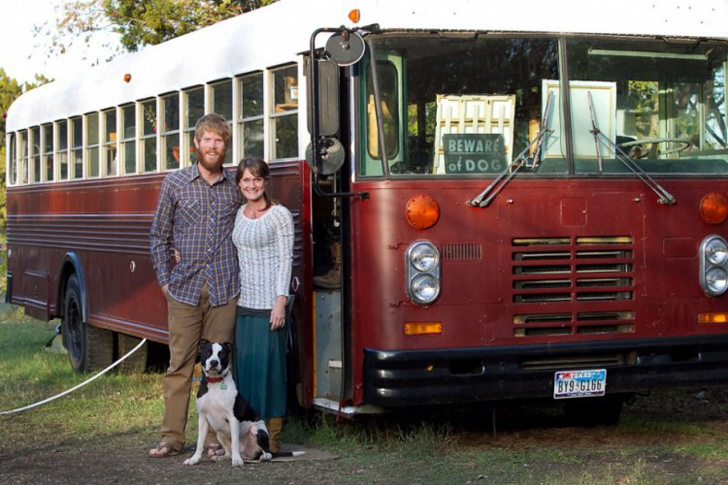 This young Texas couple has completed their bus conversion in the fewest steps possible, leaving as most of the original bus as-is. 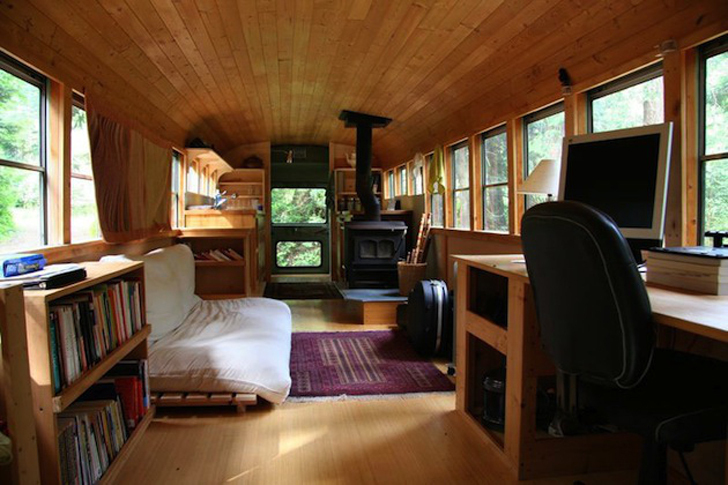 A gorgeous hardwood floor, a fresh coat of paint, and a few built-in amenities are all it takes to transform a former bus into a home (well, maybe a little more than that). 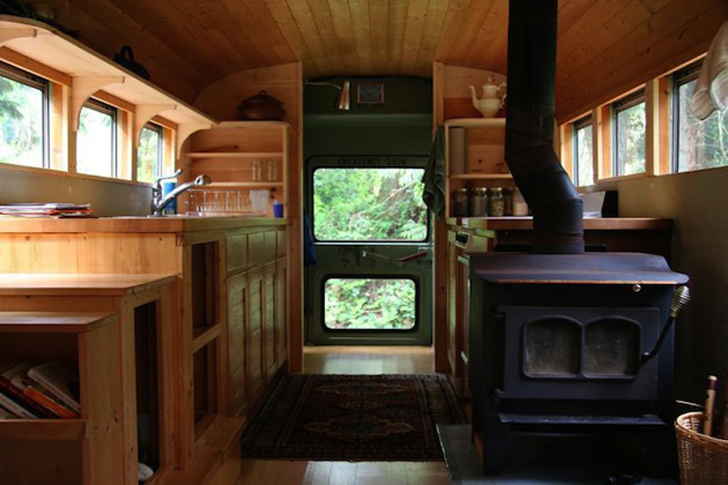 This one has a functional galley style kitchen, complete with running water, and the couple’s bedroom takes up the rear of the bus and is home to a full sized bed and antique dresser. 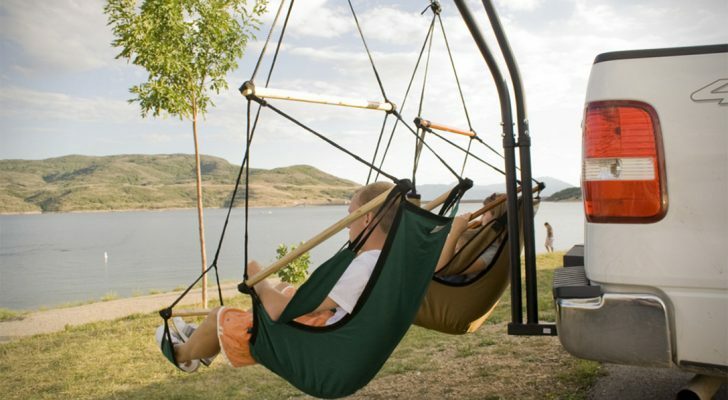 This young couple has done a beautiful job on this classic. The simple conversion features a well-appointed kitchen. A full size bed in back with an antique bureau on the right. 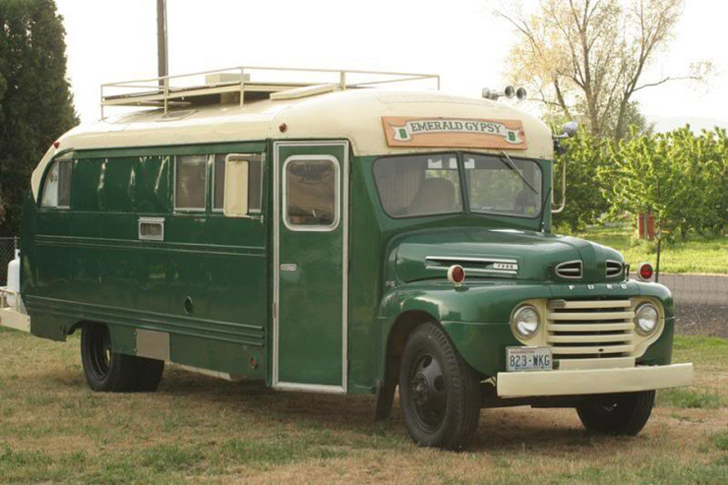 The Emerald Gypsy was originally a 1949 Ford school bus. 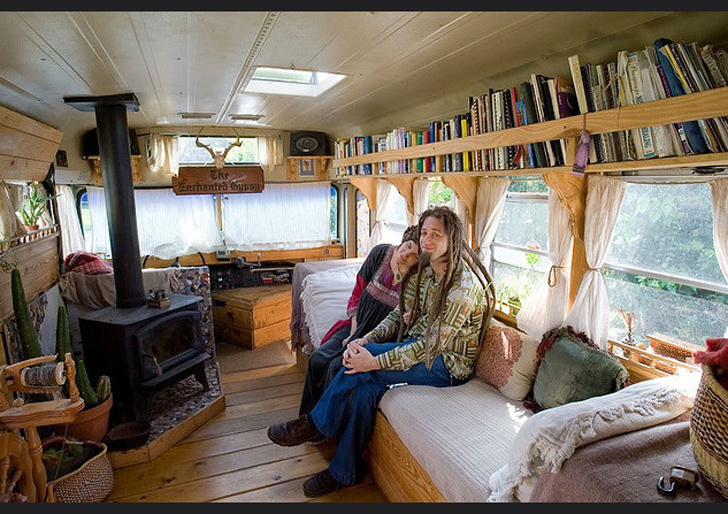 It’s been transformed by owner Mark Roberts into a tiny house on wheels cozy enough to catch the attention of Tiny House Swoon. From the rear bumper deck large enough to hold the propane tanks, to the minimalist cockpit trimmed out in pine bead board, this one is a piece of classic Americana. Midships is where we find a spacious dining table with a kitchen and bath on opposites sides of a hall leading up to the bedroom in the rear. This ’49 Ford exhibits classic mid century style. 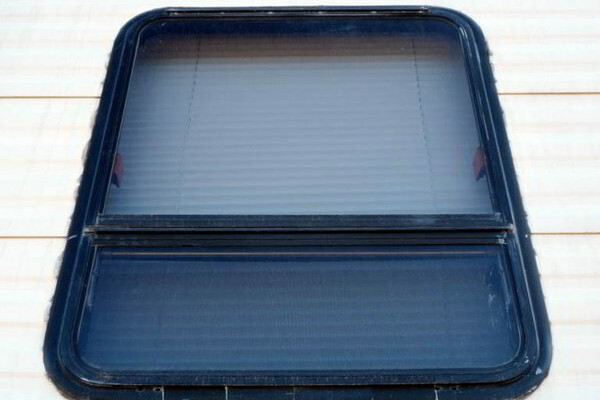 Rear deck with propane tanks. 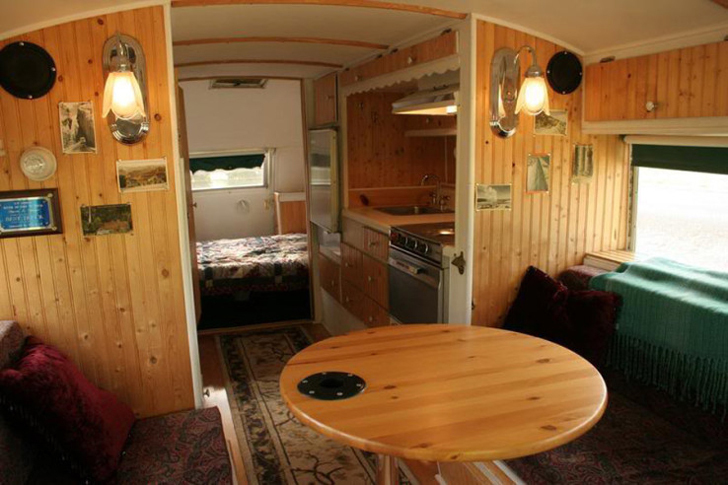 Beautiful interior with a large dinette area. 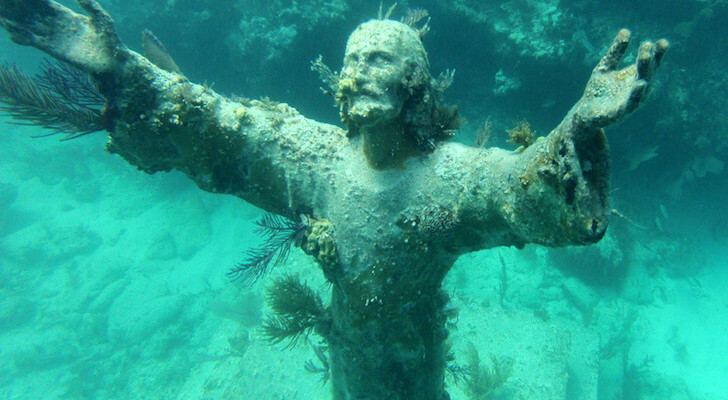 Originally found for sale on craigslist, this beautiful charmer features all the comforts of home in just 35 short feet. The beautifully wood paneled ceiling and walls are all natural in color, giving this one an open, airy feel that is rustic and modern. Gorgeous built-in cabinetry forms a beautiful kitchen, with a wood burning stove and ample counter space for prepping big meals. The futon does double duty as a bed and sofa, leaving plenty of room for the spacious desk with views that you can choose and change to your liking. 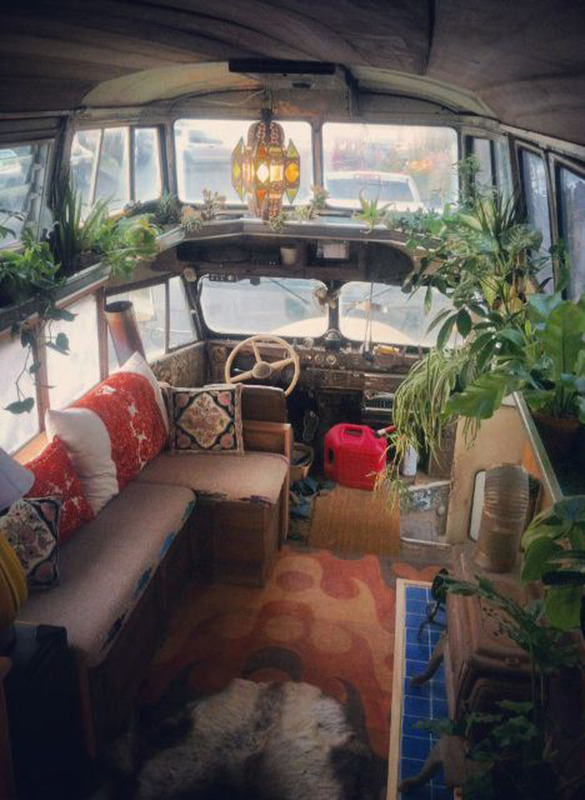 Classic Skoolie outside, nicely appointed inside. Futon doubles as a sofa and bed. Built-in cabinets finish out this gorgeous interior.